Twin Cities Paid Search Management is a central strategy for any business trying to drive traffic to their website. Here at Minnesota Interactive we help ensure that you are seeing a continual increase in specifically targeted traffic while at the same time saving money on your ad campaigns. If you are interested in increasing sales while lowering your costs (who isn’t? ), we are the right choice for Twin Cities Paid Search Management. We focus on every step of the entire process, from the beginning to the end, while remaining completely transparent so you know where every cent of your advertising dollar is being spent. Most importantly is our experienced team of internet marketers and search engine optimization experts. They live and breathe everything related to the internet 24 hours a day, 7 days a week. Whether your business is launching an entirely new campaign or looking to improve upon an existing campaign, our process will be able to help. We begin with a comprehensive keyword analysis and research the best keywords and phrases to drive targeted search traffic. We will even provide the ad copy and follow up continuously with reports and conversion tracking. The conversion logic involved with our hands-on Twin Cities paid search management process is then threaded through to the appropriate landing page that has been built specifically for conversions, which then continues the SEO process. 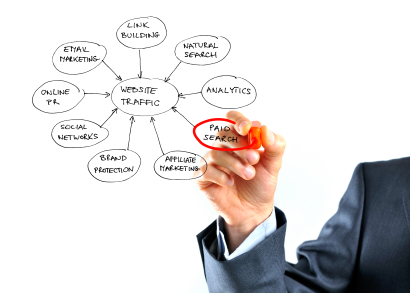 Each SEO and SEM specialist that we staff is highly knowledgeable and experienced. We have the experience working with many different sized businesses in a wide variety of industries. If you are interested in a free consultation with Minnesota Interactive contact us today and learn how you can get the best return on investment for your Twin Cities paid search management campaign.